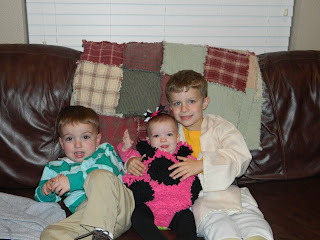 These were just a few of my favorites! 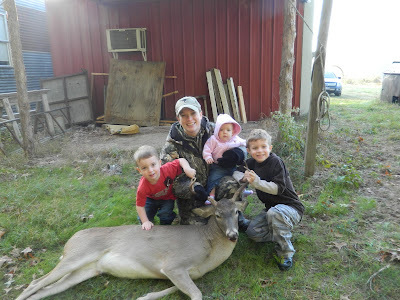 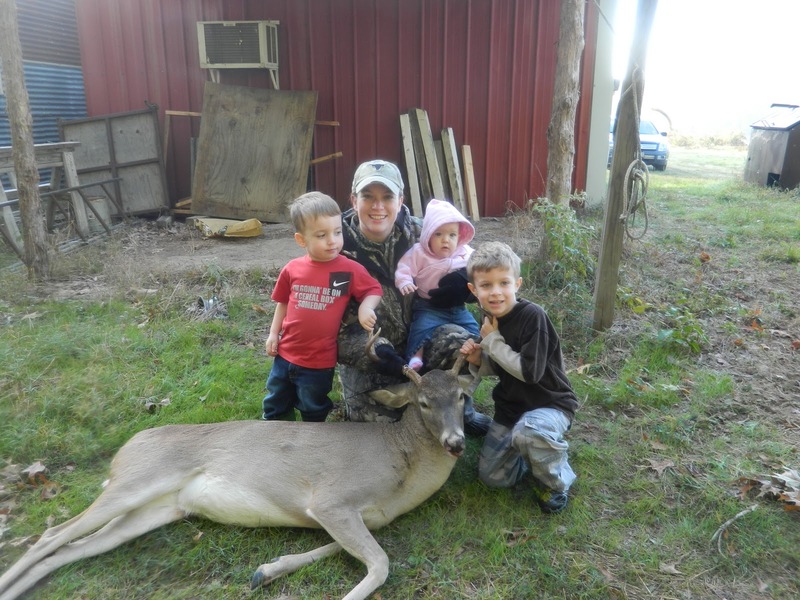 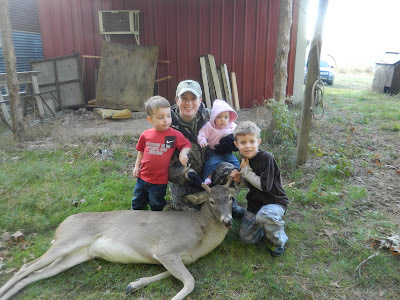 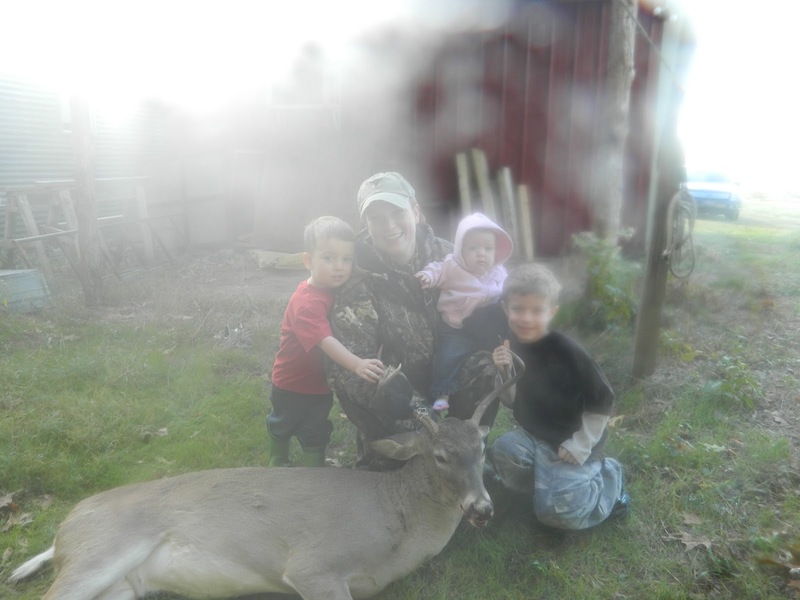 Opening weekend, our family always goes to our deer lease near Timpson, Tx. 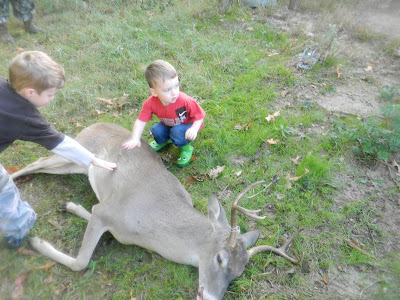 Saturday morning, I went out and came back with this! 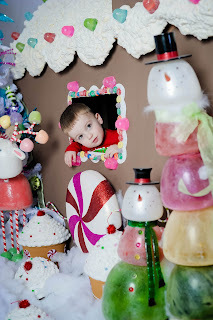 The boys loved it, they wanted to take their picture with it. 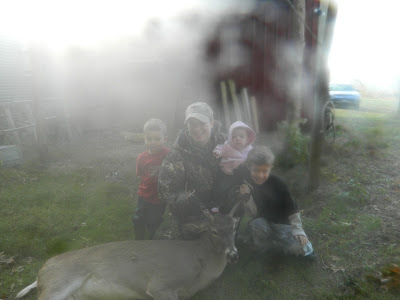 It was really foggy that morning so some of the pictures are hard to see. 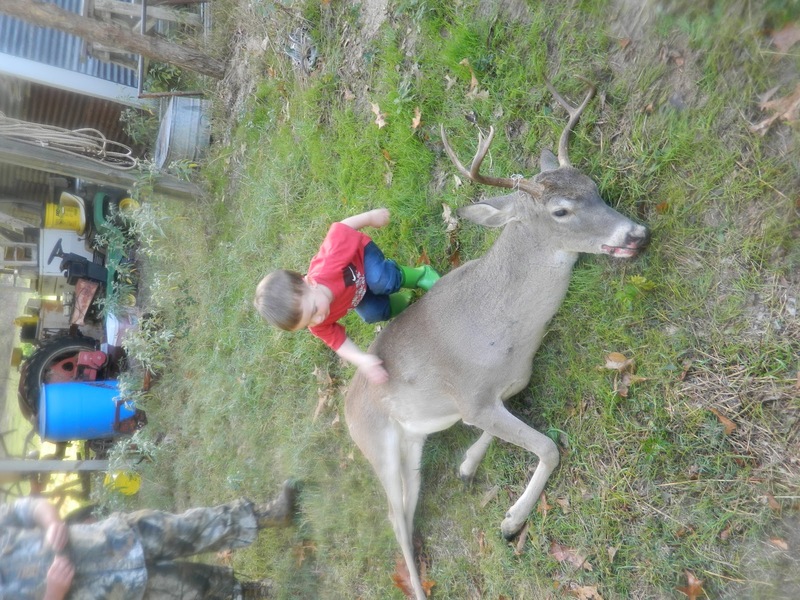 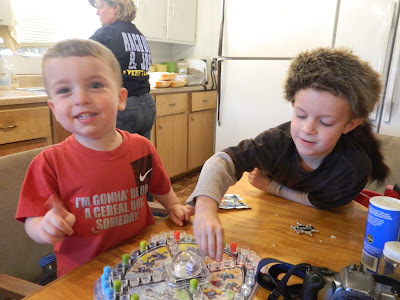 The rest of the weekend, we just played around in the cabin! 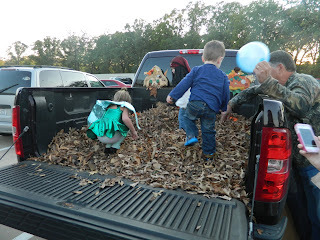 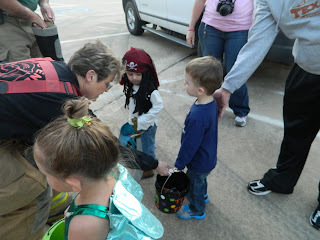 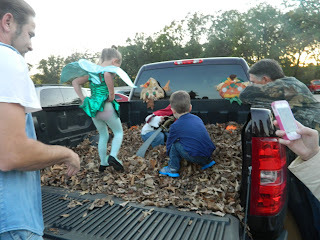 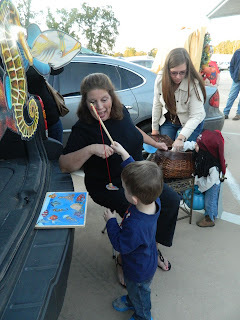 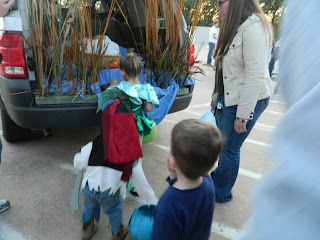 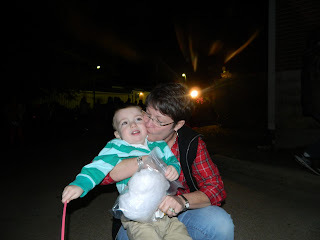 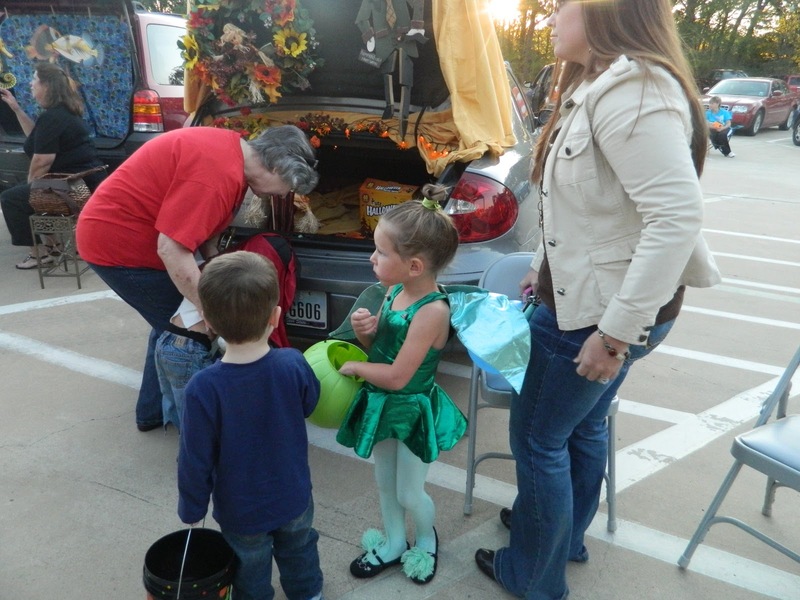 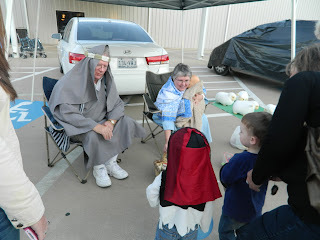 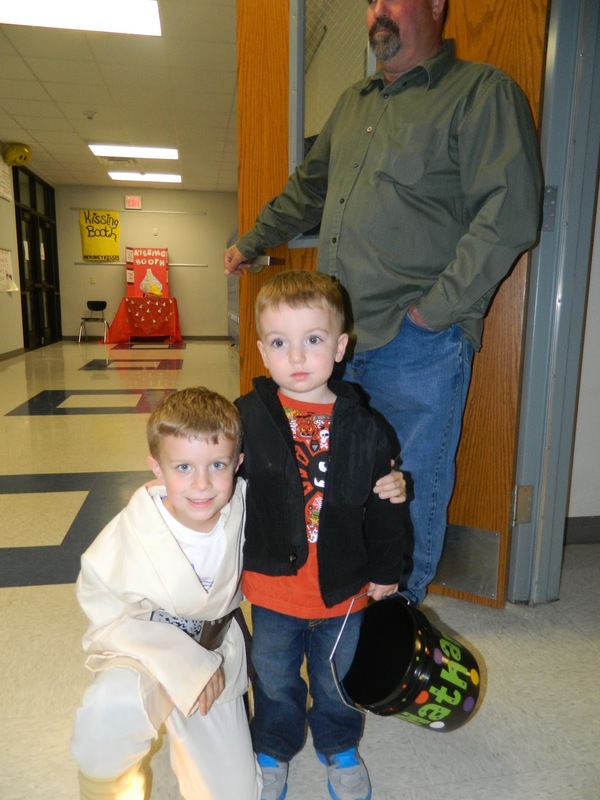 On Sunday night, we met Mimi and Papa at their church and had trunk or treat. 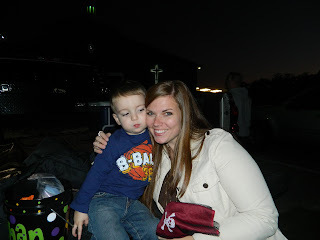 Matthew's sister was also there with her two kids. They were so cute! 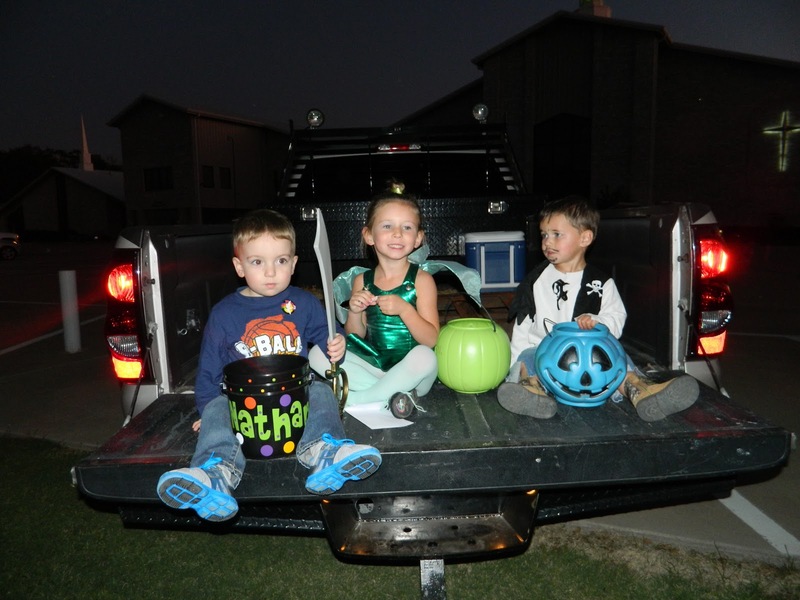 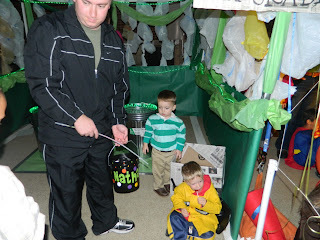 Holli was a little tinker bell and Colton was the cutest little pirate ever! 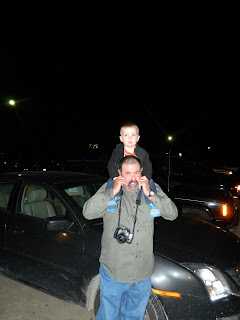 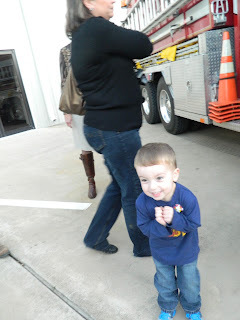 He was so excited that he was going to get to go into the fire truck! 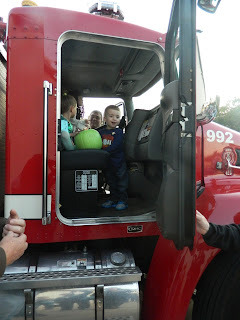 He always plays in Matthew's trooper car, but he has never been in a fire truck before. He loved it! This was Jonah, telling them how he was stuck in the belly of a whale for the 3 days! 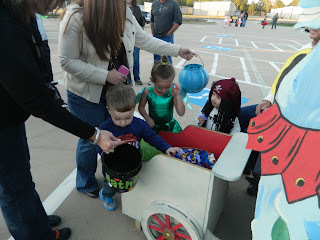 They got lots of good candy! 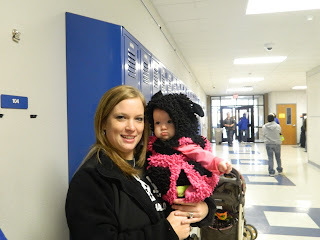 For the second year in row, my sister and I have been at separate schools. 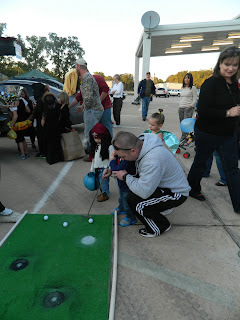 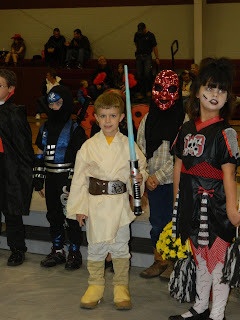 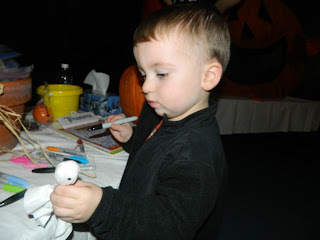 Luckily, our fall festivals have fallen on different nights, so we were able to do both. 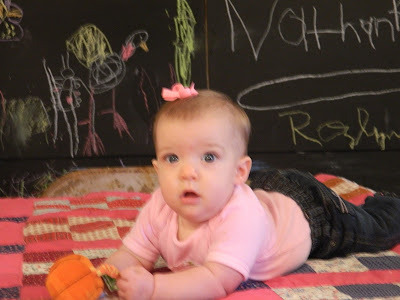 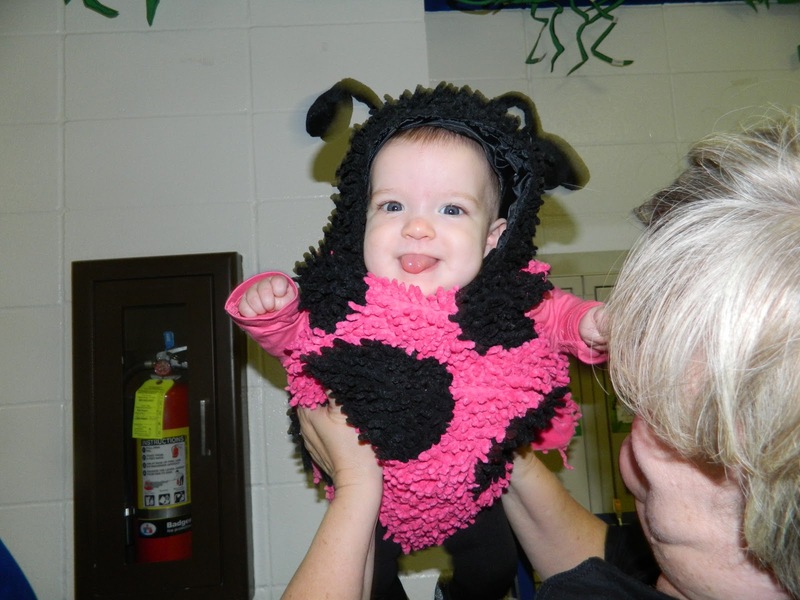 This was Rozlynn's first Halloween, so I was thankful that I got to see her in her ladybug costume. 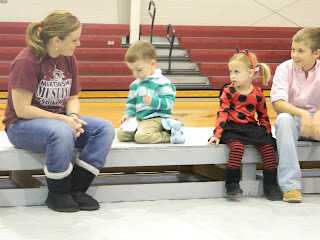 She was the cutest little ladybug I have ever seen! 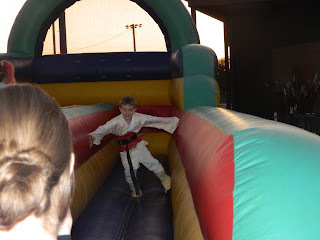 Reese doing the bungee run! 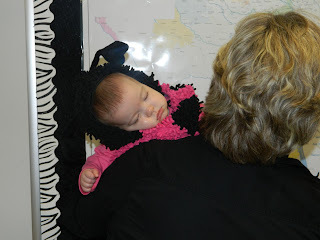 Rozlynn had so much fun, she passed out..lol! 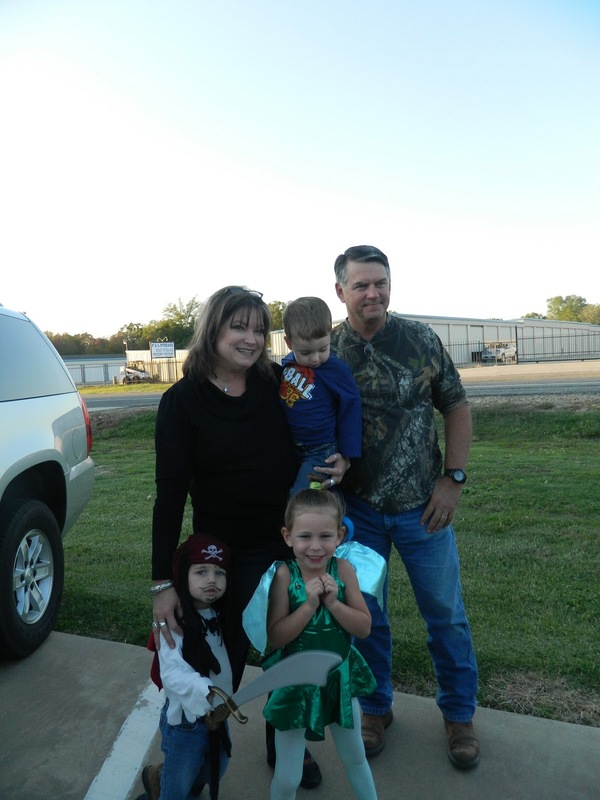 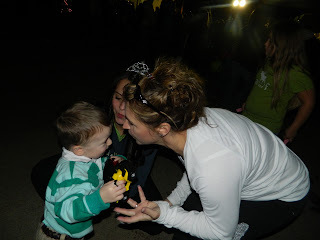 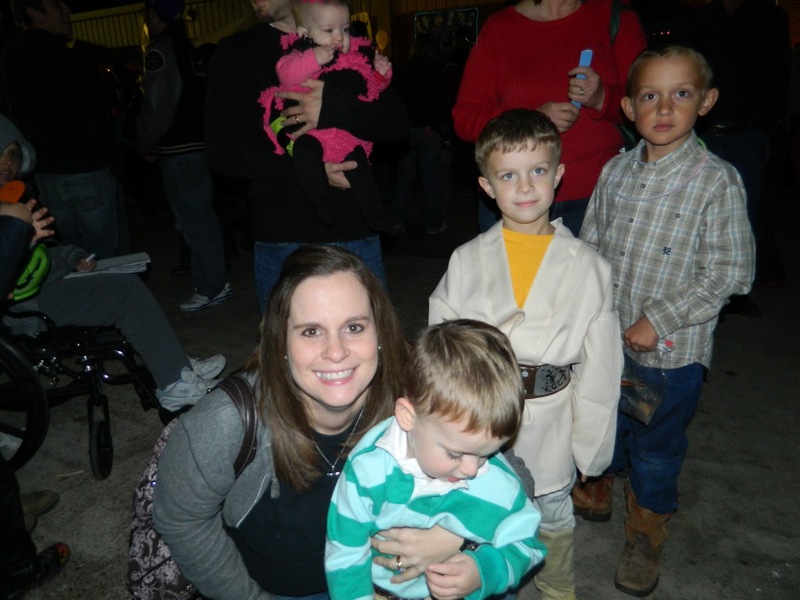 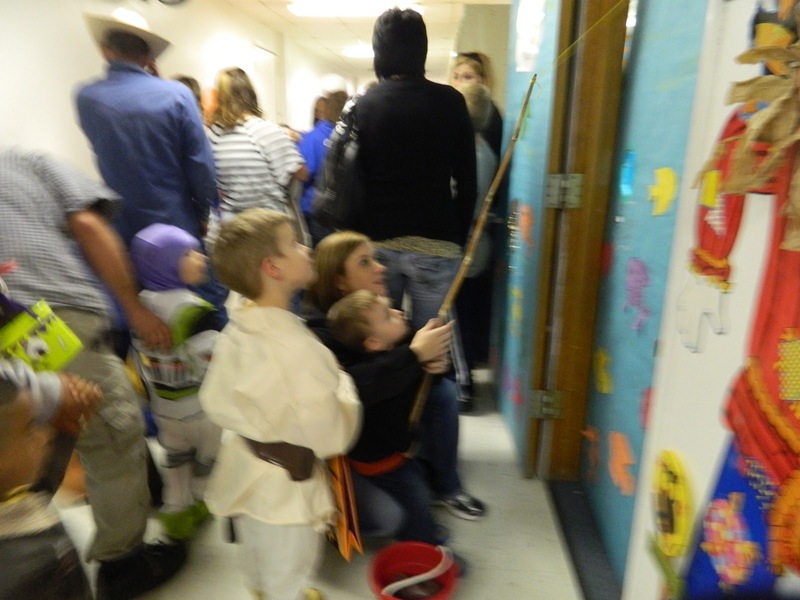 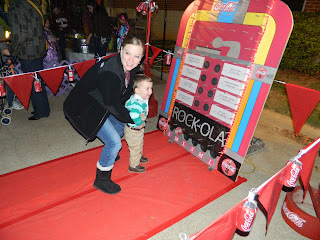 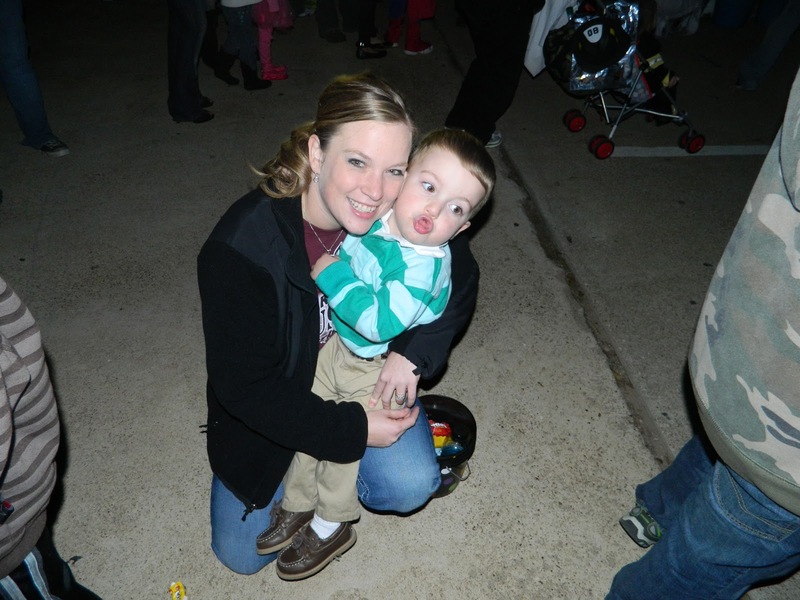 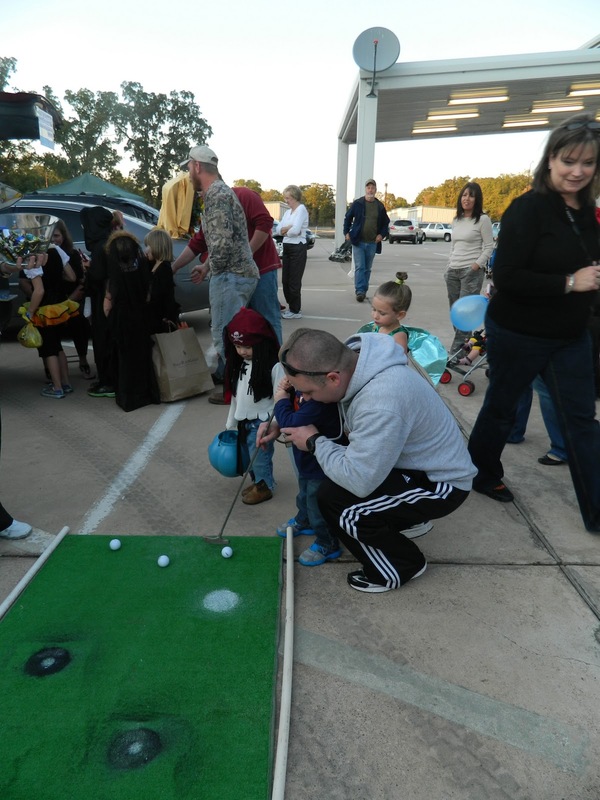 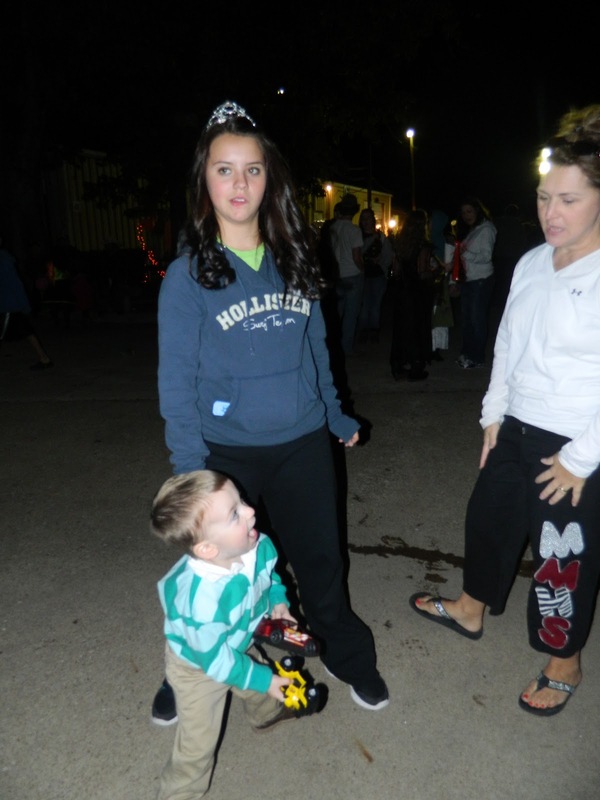 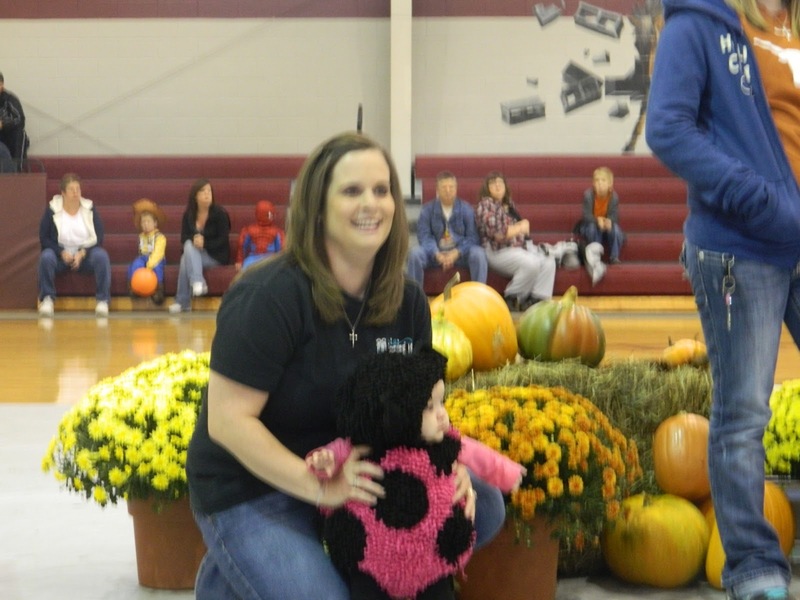 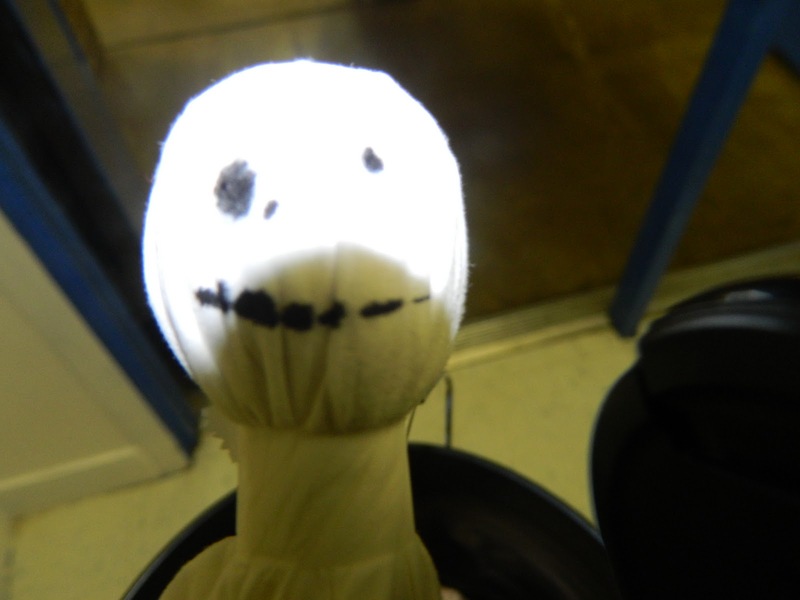 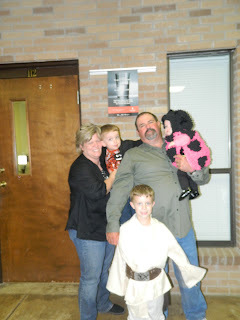 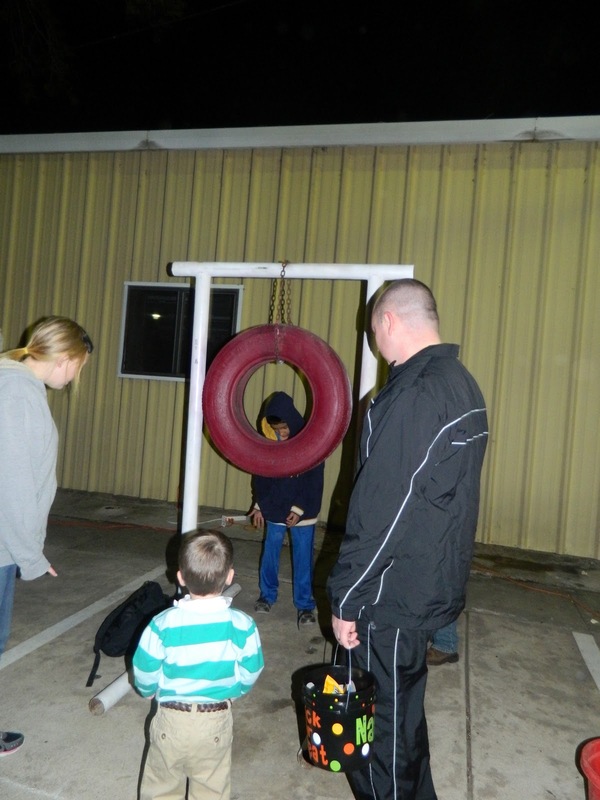 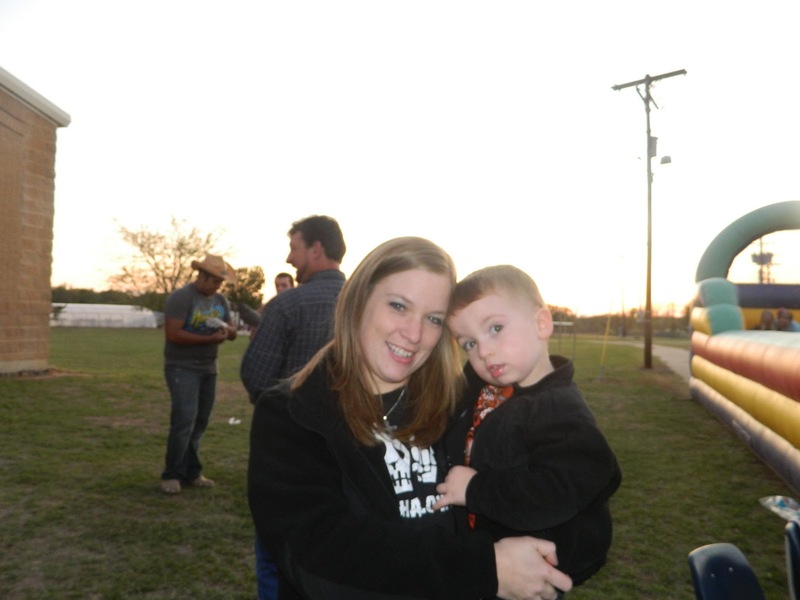 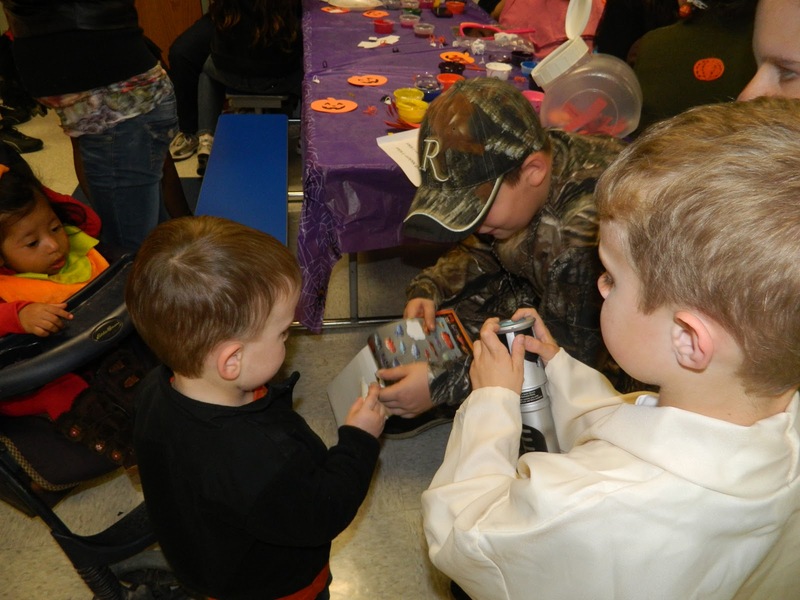 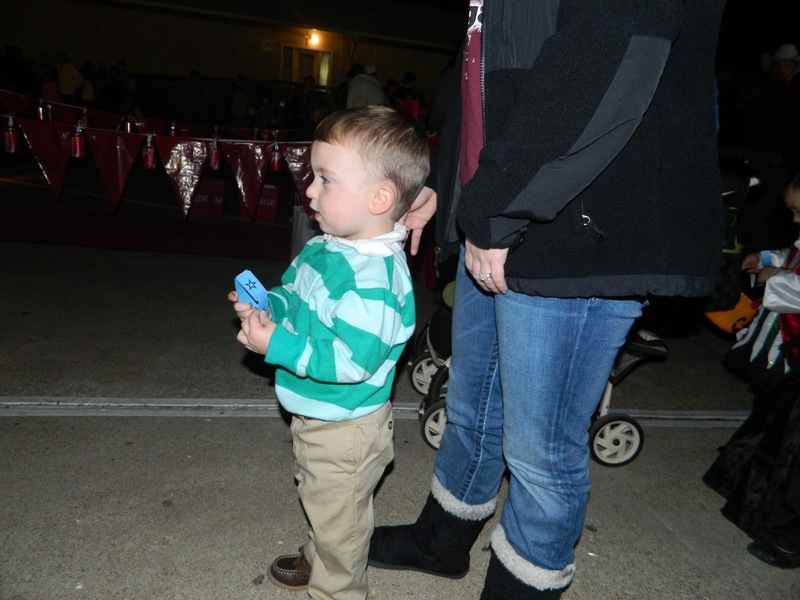 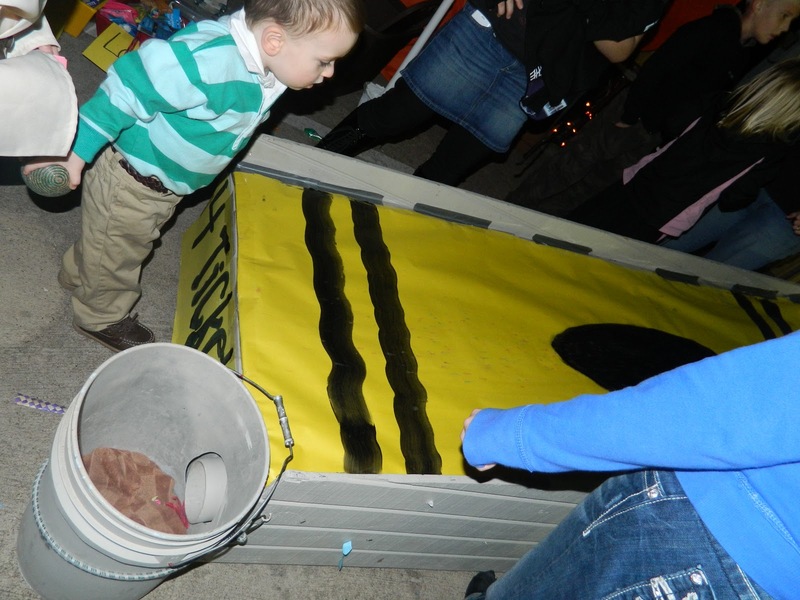 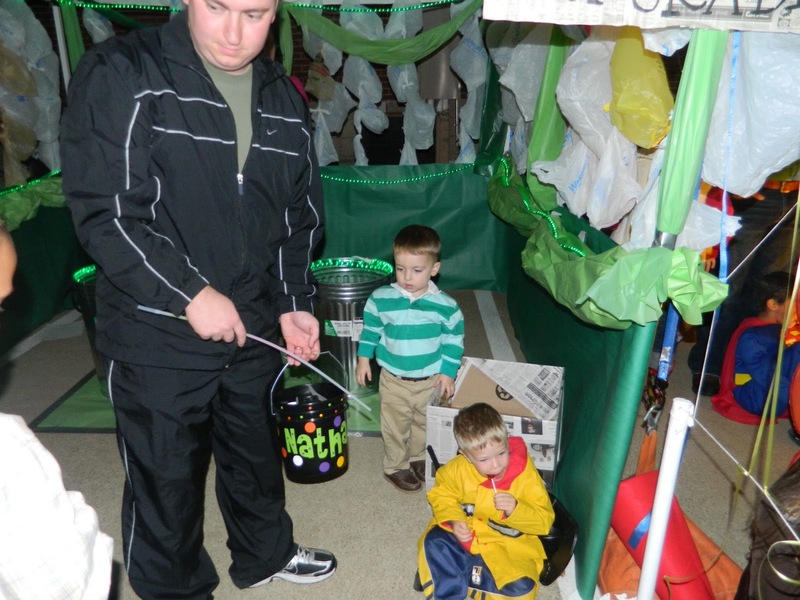 On Saturday night, Stacy's family came to our fall festival. Gammy and PawPaw had a funeral so they weren't able to come to ours. 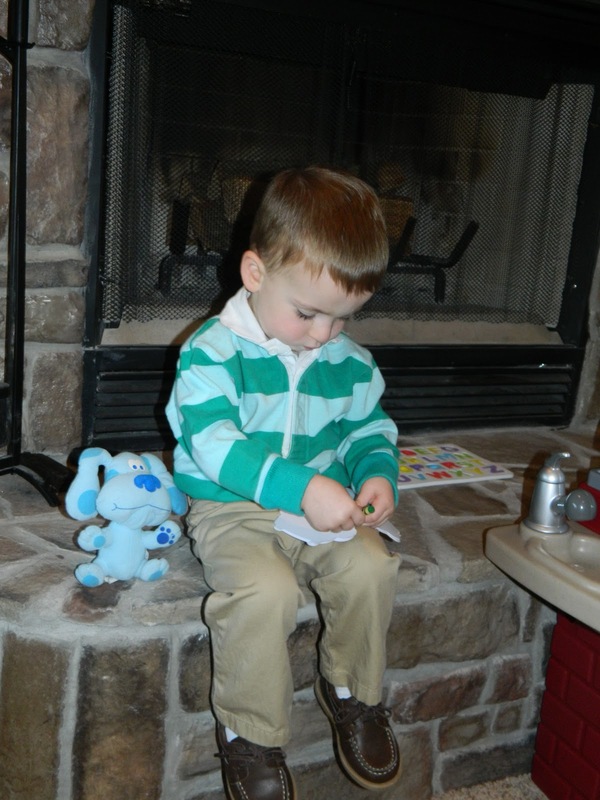 I really wanted Nathan to dress up as something, but knew he wouldn't wear a "costume" When Reese was little, he dressed up as Steve from blue's clue's. 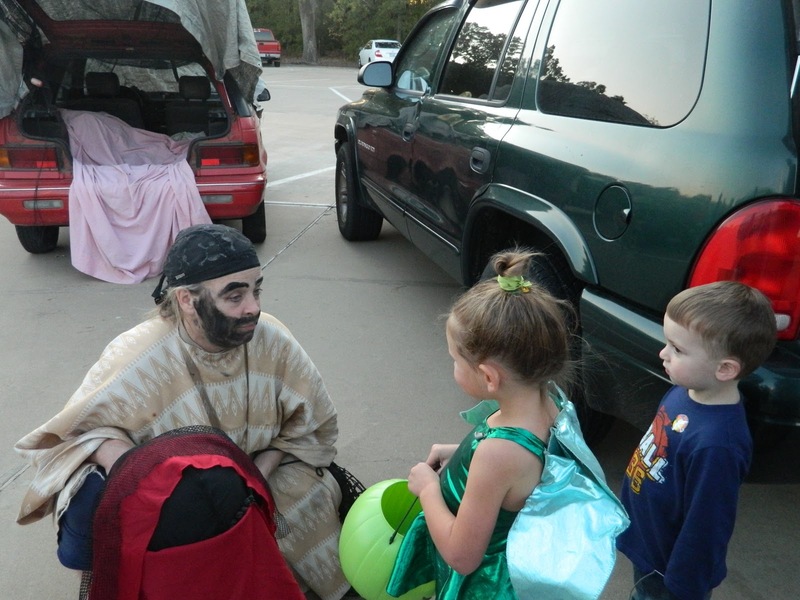 I thought he might dress up as that, since it wasn't really a costume. 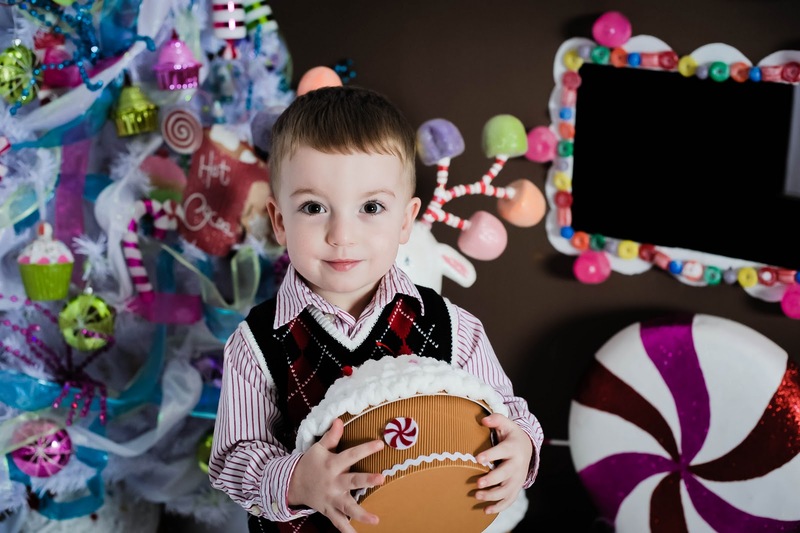 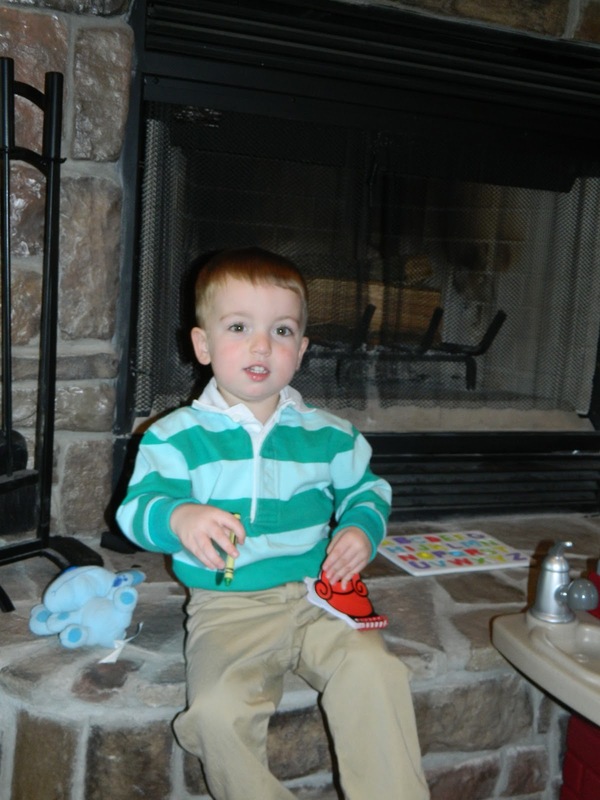 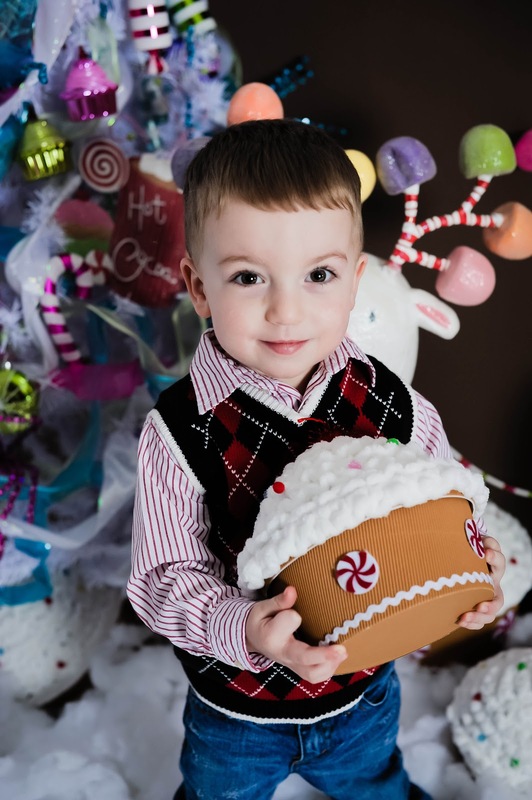 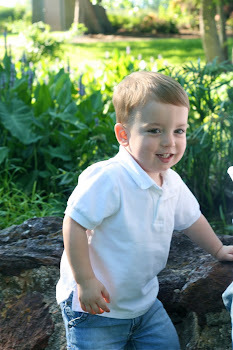 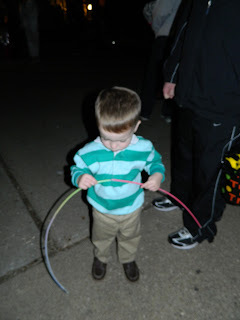 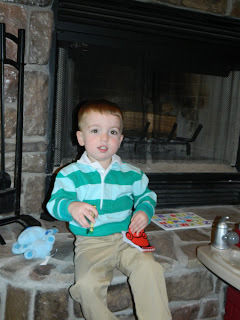 I was right, I couldn't dare call it a costume, but we just got dressed for the fall festival and he was so cute in it! He even had his "handy dandy notebook!" 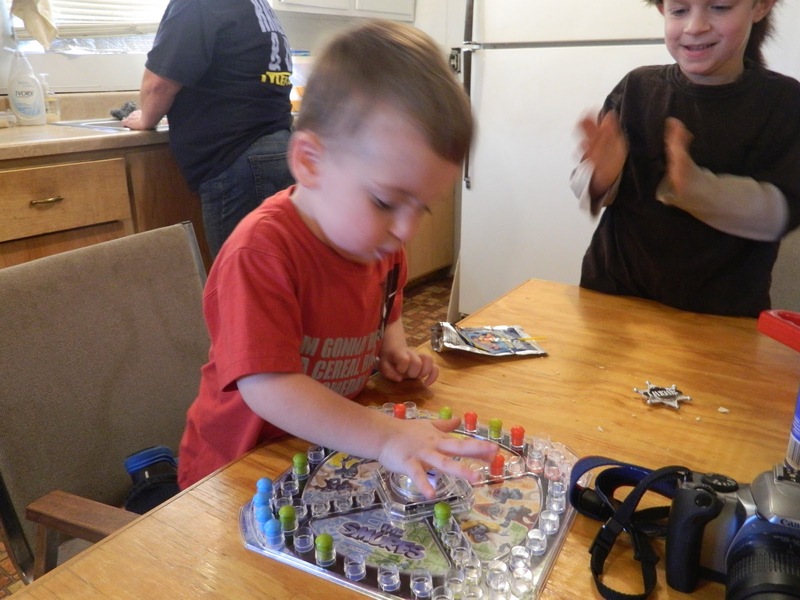 Then it was off to the games. 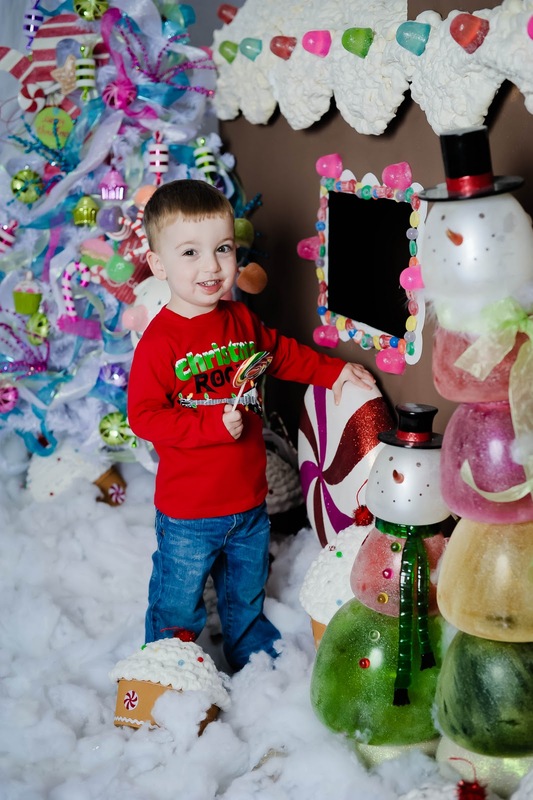 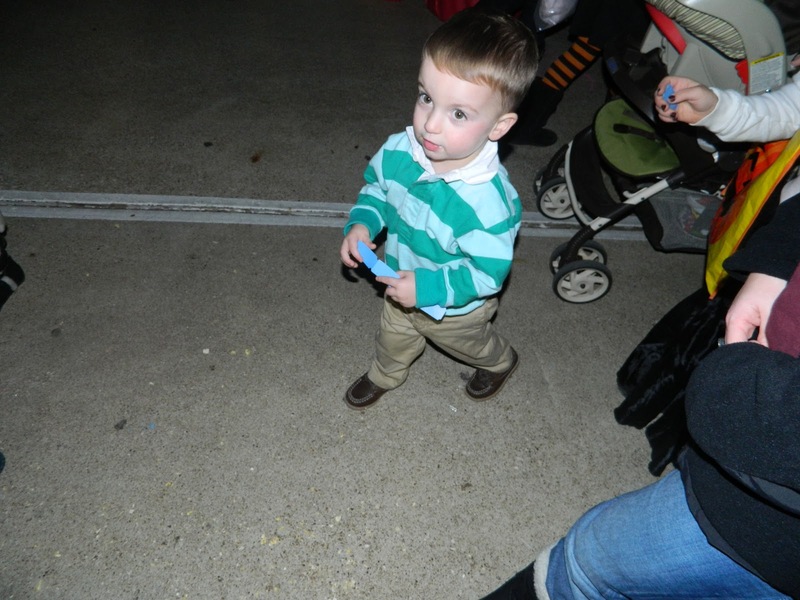 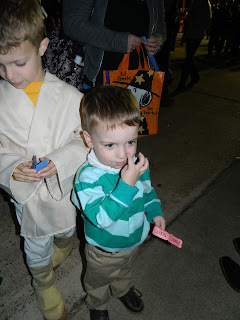 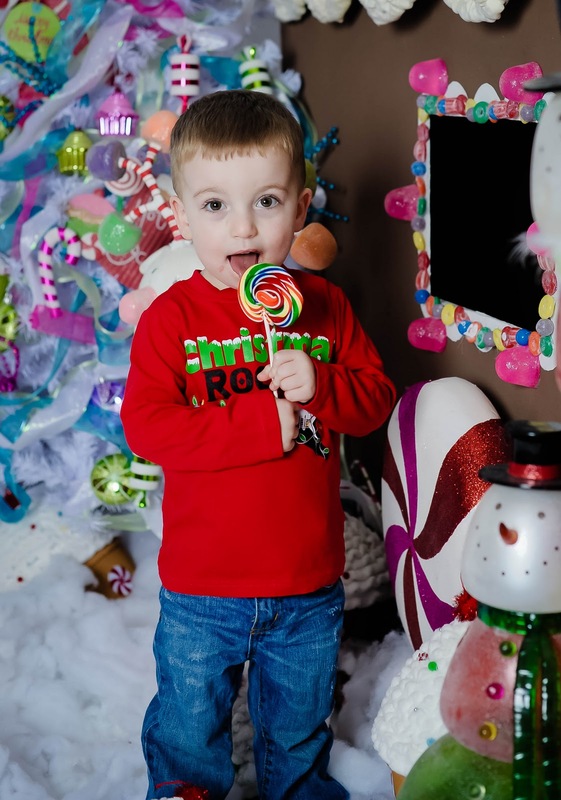 He was so cute waiting in lines, and giving his tickets at each booth. 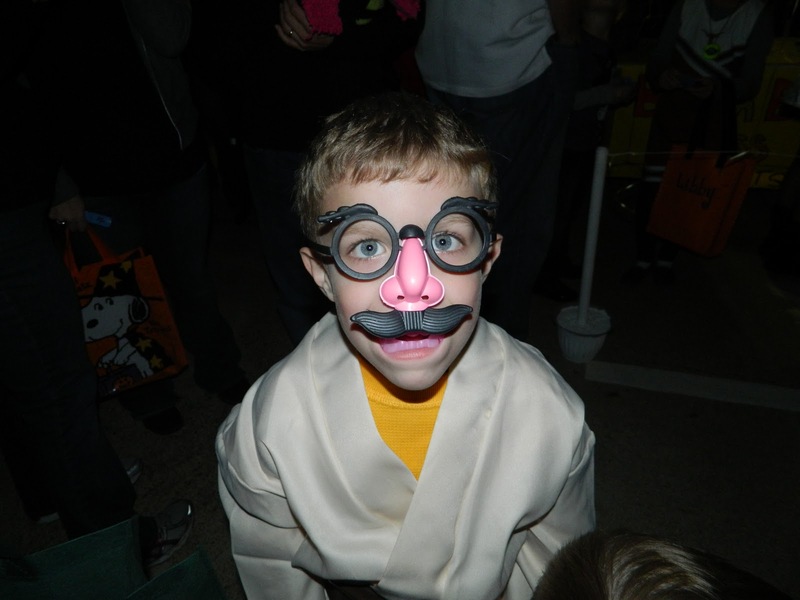 Reese won some crazy glasses! 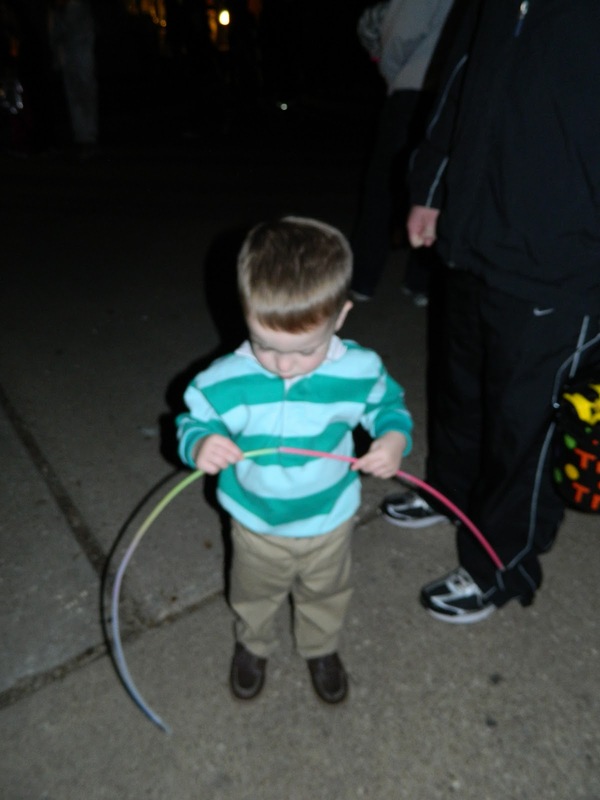 Of course we saw all his friends. I didn't get a picture of all of them, but I did get a picture of some of his favorites. 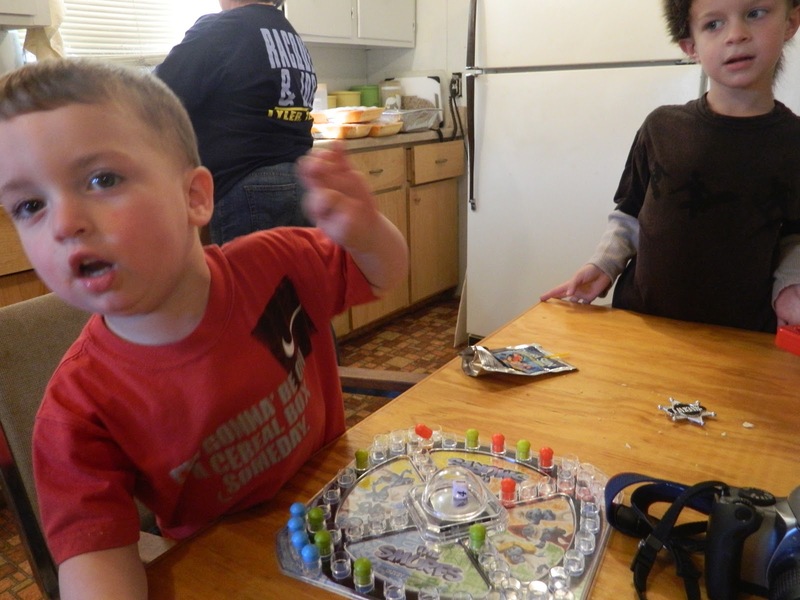 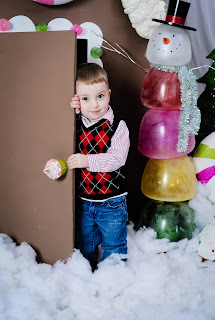 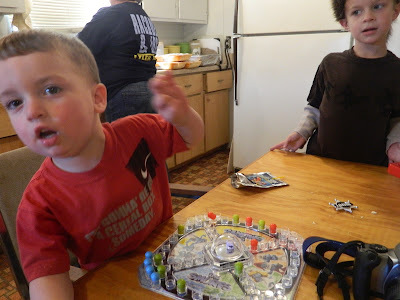 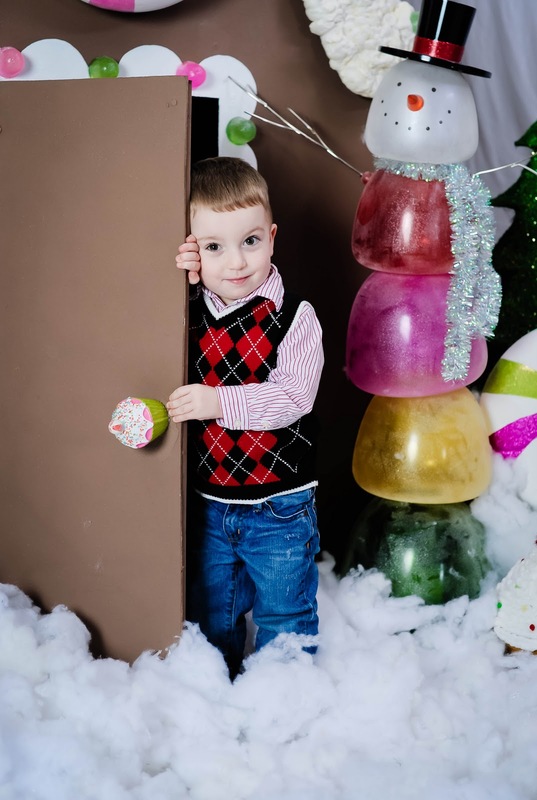 He loved this light up necklace, he used it as a sword! I'm not sure why we waited until the end of the night to get a picture of all three of them, but I think it turned out cute! 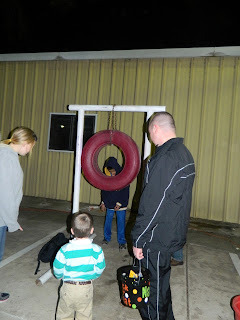 It was a fun night, full of activities!